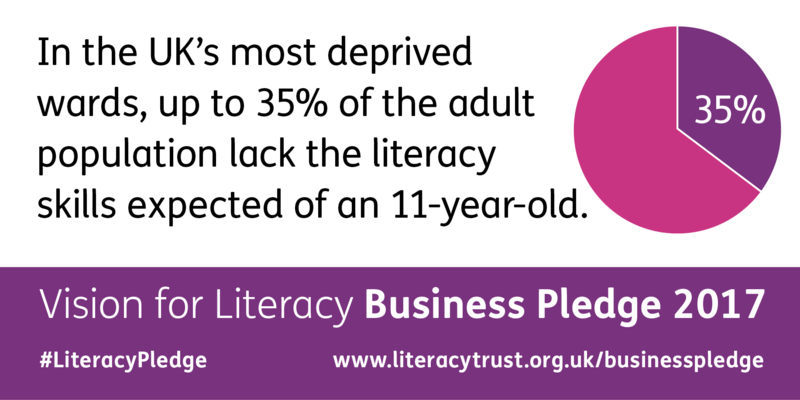 Prinovis UK continues to support the Vision for Literacy Business Pledge. As a founding signatory in 2016, Prinovis UK has renewed its support in 2017. The Pledge has been spearheaded by the National Literacy Forum, a coalition led by the National Literacy Trust and supported by KPMG. It underlines the commitment of the UK business community to raise literacy levels by taking action in three specific areas: in their workforce, in their local area and at a national level. Prinovis UK is running a series of initiatives to fulfil the Pledge and help to improve literacy in Liverpool.